Why is this idiot so happy? 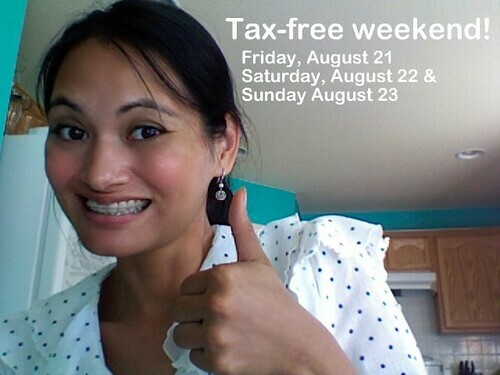 Because starting tomorrow, it's tax free weekend in Texas! Just a quick little reminder for all the Texas residents that all clothes will be tax-free this weekend (well, almost all clothes: clothes under $100). This discount also works at resale, vintage, and thrift stores! I have my eye on some $99.99 7 For All Mankind jeans at Costco (yes, Costco) and I also plan to hit up Savers like a mo-fo. And by "mo-fo" I mean a most fortunate resident of Texas. Yee-haw!